Ah, Memorial Day Weekend! Here’s a huge list of 110 Memorial Day Beauty Sales to indulge! Sephora and Sephora.ca (NEW) Buy either three Sephora Collection eye masks or three face masks and receive the fourth free online and in stores. (1d) Sephora Memorial Day Sale up to 60% off. This post may contain affiliate links. Read the full disclosure. Make room in those makeup bags, here’s the hot beauty gift with purchase offers and beauty deals you can grab at Target, Barneys, Benefits, Macy’s, L’Occitane and more retailers – including sales, free gift with purchase and so much more. Top 12 Beauty Gift with Purchase Barneys NYC (NEW) Receive a complimentary Lilah B Divine Duo Lip & Cheek set with any Lilah B purchase. (NEW) Receive a complimentary Daphne Flower 25ml Room and Linen Spray with any Antica Farmacista purchase. This post may contain affiliate links. Read the full disclosure. Here’s the top 8 President’s Day beauty deals, GWP and sales available now at Sephora Weekly Wow (Ceramidin! ), Sunday Riley free gift at Macy’s, Lord & Taylor Estee Lauder gift with $39.50, Philosophy awesome 3 coupons combo, B-glowing rare 4pc Oribe gift with $60, and a lot more. Also, these are high quality GWP that I blogged earlier this week and not to miss Space NK Spring Beauty Edit Event 2018, Bloomingdale’s 41-piece gift Saks Fifth Avenue 13-piece Lancome Gift Spring 7-piece Estee Lauder Gift at Boscov’s and Dillard’s 3 Lancome gift with purchase offers at Macy’s This post may contain affiliate links. Read the full disclosure. 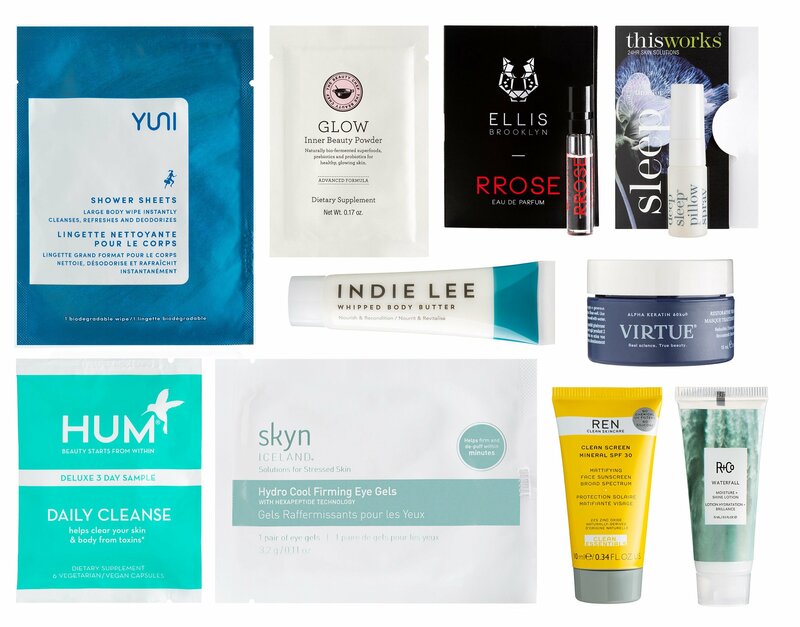 The 2018 Walgreens beauty enthusiast sample bag: 12-piece with any $20 online beauty purchase is available now + beauty clearance and stackable promotions. There are nice Lancome and Estee Lauder offers and more beauty deals in this round-up post, enjoy! Walgreens (NEW) Through 1/31, FREE Sample Bag with $20 purchase of Beauty or Personal Care items. This post may contain affiliate links. Read the full disclosure. Massive Beauty Deals and Gift with Purchase Round-up January 2018! All the best 40+ beauty deals and gift with purchase in US, UK and Canada are listed here! Spotlight: Barneys, Bluemercury, B-glowing, Darphin, Lancome, Net-A-Porter, Clinique bonus @Stage Stores, Target, Net-A-Porter and Elemis. Stage Stores (NEW) Clinique Gift with Purchase 7-piece free with any $28 Clinique purchase, ends 1/22. This post may contain affiliate links. Read the full disclosure. Welcome to IcanGWP first beauty gift with purchase and beauty sales round-up post! My opportunity to share nice beauty gift with purchase offers, coupons or beauty deals from Ciate London, Walgreens, Macy’s, Nordstrom, Precriptives, Saks Fifth Avenue, Bloomingdale’s and more! Bloomingdales (NEW) Receive your choice of five samples with any $50 beauty purchase. This post may contain affiliate links. Read the full disclosure. There is a new Lancome GWP with $75 purchase at Nordstrom Half Yearly Sale 2017. Plus, new Amazon skincare sample box live, Too Faced Mystery Box is back, two Glossyboxes for $30 at Gilt City and more. NORDSTROM (NEW) Receive a cosmetics case and deluxe samples of Color Design Eyeshadow Palette in Beige Brulee (0.07 oz. ), Définicils Lengthening and Defining Mascara in Black (0.07 oz. ), Bi-Facil Double-Action Eye Makeup Remover (2.5 oz. ), Absolue Premium Bx SPF 15 Replenishing and Rejuvenating Day Cream (0.5 oz.) and Absolue Precious Cells Revitalizing Night Ritual Mask (0.5 oz.) with your $75 Lancôme purchase. This post may contain affiliate links. Read the full disclosure. Here’s the new Lancome gift with purchase at Macy’s, Saks Fifth Avenue coupon for 10% off beauty, and new beauty gift with purchase offers at Estee Lauder, Lancome and more! Saks Fifth Avenue Saks Fifth Avenue (NEW) Online Only! 10% OFF* Sitewide (including your favorite beauty products). Use code BEAUTY17. Valid 12/19 – 12/20. This post may contain affiliate links. Read the full disclosure. Here’s Cyber Monday Beauty Round-up From A to M and Cyber Monday 2017 Live Now at Ulta! Missed Black Friday? I’ve rounded-up top 67 Beauty Cyber Monday Deals from A to M here for you! Enjoy! Ulta (NEW) Cyber Monday! FREE 22 Pc Beauty Bag with any $75 Ulta.com purchase. Choose from three beauty bags. All bags include $15 off coupon! This post may contain affiliate links. Read the full disclosure.